Selective Laser Sintering(SLS) is a versatile 3D printing technology that produces durable parts for prototyping and end-use applications. 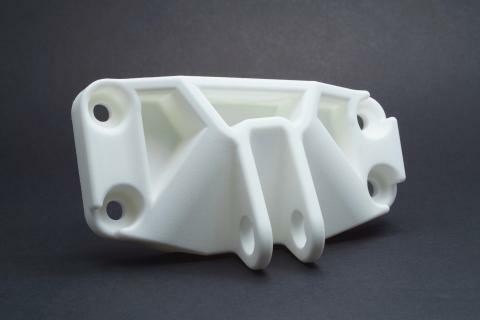 SLS is ideal for affordable prototyping, complex geometries, durable end-use parts, and low-midvolume production runs. Powdered material is swept across a build platform to ensure a level printing surface. The powder is fused together by a high-powered laser and the parts are built up layer by layer. No Support structures are needed as the model is supported by the unmelted powder around it. Afterwards, the models are excavated from the powder bed and excess powder is removed through manual picking and media blast techniques. SLS is ideal for fabricating durable or complex parts. After being sintered together, the full-melt parts produced in SLS have a density and strength comparable to parts manufactured through traditional manufacturing methods.